The undiscovered Maremma region, one of Italy’s most surprising gems. While central and Northern Tuscany boasts a startling amount of artistic treasures and captivating medieval hamlets, the attraction in southern Maremma is the dramatic scenery and landscapes. It’s like an Italian version of the Wild West, with vast expanses of unspoiled countryside covered in olive groves and vineyards, Tuscan cowboys and buffalos, and an unspoiled coastline reminiscent of California. 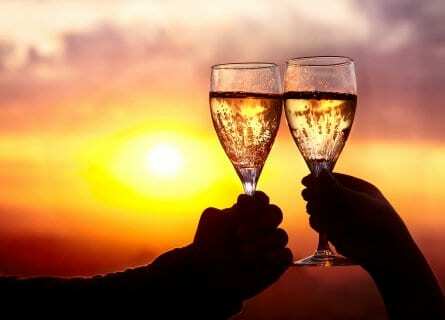 Your romantic hotel in the Maremma is a Relais & Chateaux luxurious seafront hideaway. And you have an array of interesting experiences to look forward to here, such as a private boat tour of Giglio Island and the Monte Argentario peninsula; wine tasting at designer cellars; a gourmet extravaganza at Michelin starred Da Caino; a spa treatment in Saturnia, an ancient spa town dating to Roman times; and a visit to one of Italy’s most unique and whimsical gardens, inspired by Gaudi’s Parc Guell in Barcelona. You´ll also explore quaint villages off the main tourist trail such as Pitigliano, with its interesting Jewish heritage. For food and wine lovers looking for a quirkier, slightly off the well-trodden Tuscan wine roads, Maremma is a fantastic destination! Fly into Rome airport, and upon arrival, your elegant driver guide will be waiting for you in arrivals. You will transfer to the Maremma, about an hour and 45 minutes drive. Stop en route at Niki de Saint Phalle´s (the late French-American artist) fantastic mosaic and sculpture garden, Il Giardino dei Tarocchi. You´ll have lunch on your own in charming Capalbio, a medieval “Borgo” (Hamlet) with stone walls, flowered covered balconies, ancient brick archways, and narrow lanes. After lunch, have a look around the darling town and check out the Renaissance Palazzo Collacchioni, the majestic “Rocca” (Fortress), the Arco Santo (Holy Arch), etc. In the afternoon, arrive at your fabulous seafront hotel and check-in. Rest of the afternoon at leisure to enjoy a swim, a walk or just relax. Tonight we have a special candlelit dinner planned for you at the hotel’s Michelin starred restaurant, complete with a serenade. Welcome to Tuscany! Today is all about exploring the pristine coastline, islands, and the Maremma national park with its breathtaking coastline. Your driver will drop you off in the port where your private captain will lead you on an unforgettable day. 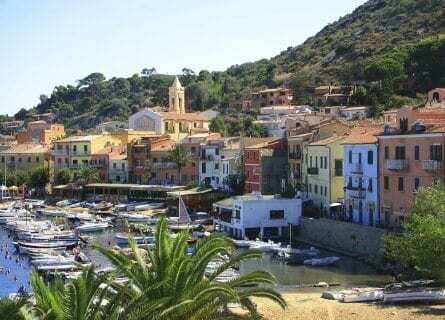 Begin with a visit to Isola del Giglio, and enjoy the views over the sparkling, turquoise sea so similar to Sardinia’s Costa Smeralda. Hike along the walls of the castle in Giglio and take in the amazing views, enjoy the beaches of Cannelle or Arenella, and try fresh seafood in Giglio´s picturesque little port. Sail along the Monte Argentario peninsula, making as many stops as you like. You can visit Porto Santo Stefano, a glamorous small resort town that still retains the charm of a fishing village. You could also visit beautiful Orbetello and its wonderful lagoon, and Talamone (a picture-perfect seafront village complete with castle and pretty port). Before sunset you have a unique and unforgettable experience in store- you will be led on your own private horseback riding tour of the Parco della Maremma by Butteri (Tuscan cowboys). Ride “Maremmano” style (similar to Western) through lush forestlands and along beaches. Finally, after a full and exciting day, you´ll head back to your hotel and enjoy dinner on your own at the hotel or in Porto Ercole (by taxi). Wine tasting and an exquisite gourmet lunch are planned for today. From the seaside you will drive north to the ultra-modern Rocca di Frassinello, designed by internationally renowned architect Renzo Piano (whose many projects include Renzo Piano Tower I & II in San Francisco, Trans National Place in Boston, Whitney Museum of American Art in New York City, and the Nasher Sculpture Center in Dallas). Rocca di Frassinello is a newly formed joint venture between the prestigious Italian Castellare Estate and the French Domaines Barons de Rothschild. 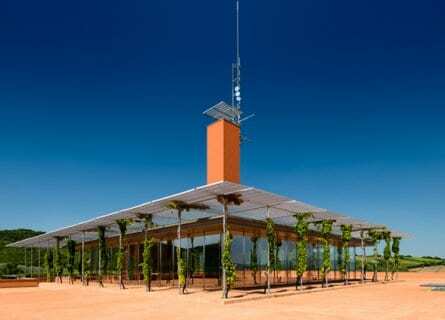 You´ll have a private tour of the grounds and winery followed by a special private tasting of their premium Super Tuscans like Poggio alla Guardia, Le Sughere di Frassinello and Rocca di Frassinello. Lunch is next and quite a treat, a gourmet tasting menu paired with wines at Alain Ducasse´s L´Andana near Castiglione Della Pescaia. After an outstanding lunch, enjoy a digestive walk around this gorgeous property (which looks over sunflower fields, olive groves, and vines), then carry on to the last winery of the day to a stellar estate such as the up and coming Poggio Argentiera. You´ll have a vineyard tour first and learn all about these Scansano wines, followed by a winery tour and tasting with the owner himself. In the late afternoon, head back to your hotel for a free evening to relax. Today will be a relaxed gourmet day focused on a bit of spa time, charming little villages and a superb Michelin starred lunch. Check out of your luxurious hotel, and head east (about one hour and 15 minutes) to the ancient Roman spa town of Saturnia where you will spend the morning relaxing at the Terme di Saturnia. You´ll have free time to enjoy the natural thermal pool, as well as an hour-long heavenly massage. Saturnia is considered to be one of the best spa towns in Europe, have fun! Head to the nearby tiny village of Montemerano, where a monumental gastronomic lunch awaits. The tasting menu at Michelin starred Da Caino is a once in a lifetime experience and you´ll taste the “best of” of chef Valeria Piccini´s dishes paired with the mythical Sassicaia wine as well as a surprise white wine selected from their 20,000 plus bottle cellar. While the food is extremely elegant, the atmosphere of this restaurant is cozy, with wood-beamed ceilings and a fireplace, very warm and inviting. After a relaxed, long lunch, carry on to the striking town of Pitigliano for a visit. 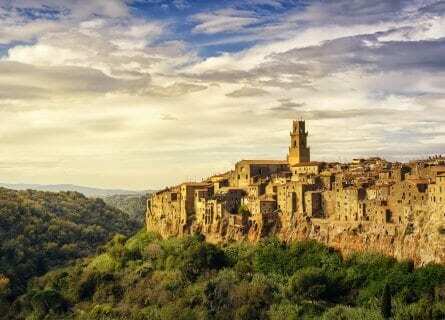 Called the “Città del Tufo” (Tufa city), Pitigliano is a hilltop town carved out of the rock face. The town has a fascinating history and is known as “Little Jerusalem” as it had a vibrant Jewish population in medieval times. This legacy can be appreciated by visiting the 16th-century synagogue, the Ghetto and the Forno delle Azzime (kosher bakery). Enjoy free time here and don’t forget the camera as Pitigliano is one of southern Tuscany’s most beautiful towns. 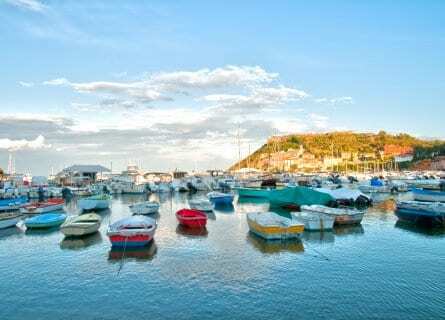 In the early evening, you will transfer back to lively Porto Ercole. Free evening to dine out, although you won’t be starving! At your preferred time, after a luxurious breakfast and perhaps a trip to the spa, your private chauffeur will take you to your next port of call such as Rome or Florence airports. We hope you had a stellar time in the majestic Maremma!